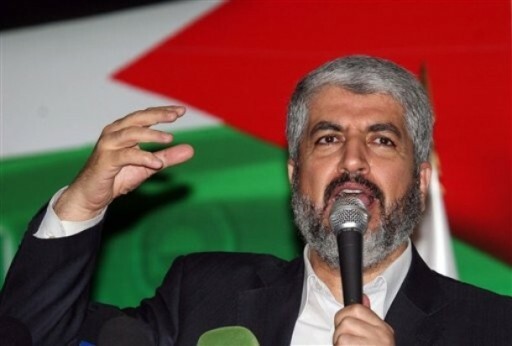 October 31, 2010 (KATAKAMI / YNET) — Iranian Intelligence Minister Haidar Moslehi met in Damascus with Hamas Politburo Chief Khaled Mashaal, who at the end of their meeting said they discussed the conflict with Israel. The Iranian IRNA news agency reported that Moslehi, who is on a 3-day visit to Syria, also met with Islamic Jihad Chief Ramadan Shalah. 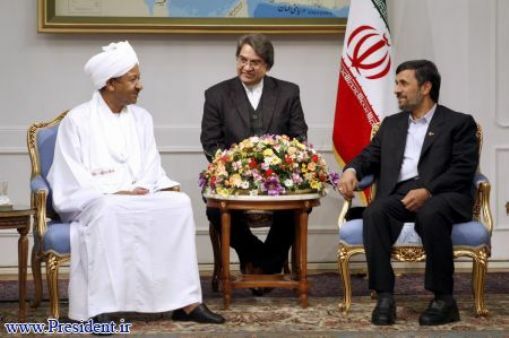 October 29, 2010 (KATAKAMI / VOA) — The European Union’s foreign policy chief says Iran is ready to resume talks about its nuclear program. Catherine Ashton told reporters in Brussels Friday that she received a letter from Iran’s chief nuclear negotiator, Saeed Jalili, saying he is prepared to restart talks after November 10. The EU foreign policy chief had proposed meeting with Jalili in mid-November on behalf of the P5 + 1, which includes Germany and the five permanent members of the U.N. Security Council. The Security Council has imposed four sets of sanctions on Iran for its refusal to stop enriching uranium, which can be used to develop nuclear weapons. Iran insists its nuclear program is peaceful. October 08, 2010 (KATAKAMI / VOA) – Russian officials say the country plans to reimburse Iran, after Moscow canceled the sale of an air defense missile system to Tehran. The announcement comes as the Russian president is on a one-day state visit to Cyprus. In the scope of a $800 million contract brokered in 2005, Russia was obliged to send Iran at least five S-300 missile systems. But last month, Russian President Dmitry Medvedev banned the sale of the missile systems following United Nations sanctions against such arms sales. The U.N. imposed the sanctions in June for Iran’s refusal to stop enriching uranium. Mr. Medvedev also outlawed the sale of tanks, aircraft and sea vessels to Iran. The proposed deal caused alarm in the United States and Israel as the S-300 can track 100 targets at once and fire on aircraft up to 75 miles away. Possession of S-300 systems would have also boosted Iran’s defense of its nuclear facilities against attack from the air. The news comes on the heels of Russian President Dmitry Medvedev’s first ever state visit by a Russian leader to the Republic of Cyprus. Security was high in the capital, as the Cypriot government views this visit of crucial importance and a chance to display their strong ties with a superpower. 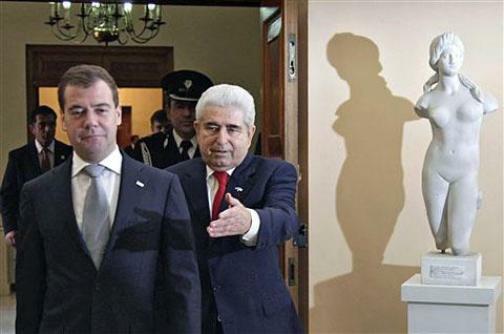 Government spokesman Stefanos Stefanou told VOA News that Russia and Cyprus will sign fifteen agreements during the visit ranging from a tax treaty to healthcare and tourism deals. “It is very significant; I would say its very historic official visit. Russia is a very significant country in the world; it’s a permanent member of the Security Council and very important country for Cyprus regarding the political and economic aspect of our relations,” he said. Ties between the two countries are strong with more than 10,000 people of Russian origin living and working in Cyprus. The island is one of the largest foreign investors in the Russian economy. “The Soviet Union at that time was one of the first countries that recognized the Cyprus republic, and since then the bilateral relations between the two countries are at a very good level,” said Stefanou. Thousands of offshore companies registered on the island are Russian, which re-invest profits, taxed at a lower rate in Cyprus, back into Russia. Cyprus is also a big foreign destination for Russian money, receiving $16.6 billion since 1991. “The investments of Russians in our country are very high, so the financial aspect of the visit is very significant as well. So, and politically and financially the official visit of Mr Medvedev is very important for our country,” Stefanou added. The Russian president, who is accompanied by a multi-party delegation, leaves the island Thursday night. TEHRAN, Iran (KATAKAMI / MSNBC) — A 5.7-magnitude earthquake rattled the northeast Iranian city of Torbat-e Heydariyeh on Friday, injuring at least 110 people. Iran’s state TV said the quake also damaged several villages and temporarily disrupted communications. The earthquake occured at around 06:20 p.m. local time (14:50 GMT) and rocked the city for about 10 seconds, causing cell phone disconnections. Local Governor Mojtaba Sadeqian said one of the injured was in critical condition. Torbat-e Heydariyeh is in Razavi Khorasan province, about 445 miles (714 kilometers) east of Tehran. Iran is located on seismic fault lines and is prone to earthquakes. It experiences at least one slight earthquake every day on average. Some 26,000 people were killed by a 6.6-magnitude quake that flattened the historic southeastern city of Bam in the same region in 2003. An Iranian operator monitors the nuclear power plant unit in Bushehr, about 1,215 km (755 miles) south of Tehran, November 30, 2009. (KATAKAMI / Reuters) – Iran and the United States sent positive signals on Wednesday about the possibility of fresh talks on the Iranian nuclear program, which Washington suspects aims to develop atomic weapons. Iran has given an assurance that it would stop enriching uranium to 20 percent purity if world powers agreed to a proposed nuclear fuel swap, Turkish Foreign Minister Ahmet Davutoglu told reporters in Istanbul. The offer, conveyed to Davutoglu on Sunday, could bode well for an expected resumption of talks in September between Iran and major powers on the Islamic Republic’s atomic program, which Tehran says is for peaceful purposes and not for bombs. Asked about Davutoglu’s comments, the U.S. State Department said Iran had often sent mixed signals but that the United States was “fully prepared” to resume talks among the six major powers and Tehran about Iran’s nuclear program. Iran last met the United States, Britain, China, France, Germany and Russia in Geneva in October, when they discussed Iran sending some low-enriched uranium abroad in exchange for fuel for a Tehran reactor that makes medical isotopes. Uranium enrichment is a process that can produce fuel for nuclear reactors or, if carried out to a much higher degree, can yield fissile material for atomic bombs. In February, Iran announced that it had started enriching uranium to 20 percent purity, from about 3.5 percent previously, raising concern that it might be planning to enrich uranium still further and to produce weapons grade material. Since June, fresh sanctions have been imposed on Iran by the U.N. Security Council, the United States, and, on Monday, by the European Union, increasing the pressure on Tehran. One of the demands made in repeated U.N. Security Council resolutions is that Iran suspend uranium enrichment entirely. Turkey and Brazil brokered a deal in May for a nuclear fuel swap in Tehran, hoping that this would draw Iran and major powers back to the negotiating table, but the six powers were lukewarm about the plan. At the time, Iran said it would continue enriching uranium to 20 percent. Davutoglu, who met his Iranian counterpart Manouchehr Mottaki and Brazilian Foreign Minister Celso Amorim on Sunday, said Iran was ready to lay to rest concern over its enrichment program if the proposed nuclear fuel swap went ahead. “Another important message given by Mottaki during his visit to Turkey was that if the Tehran deal is signed and Iran is provided with the necessary fuel for its research activities, then they will not continue enriching uranium to 20 percent,” Davutoglu told a joint news conference with visiting German Foreign Minister Guido Westerwelle. Iran sent a letter to the International Atomic Energy Agency on Monday, saying it was ready to negotiate the details of exchanging 2,646 pounds (1,200 kg) of its 3 percent enriched uranium for 265 pounds (120 kg) of 20 percent enriched uranium. Davutoglu urged that talks on this subject with the so-called Vienna Group, comprising Russia, France, the United States and the IAEA, begin as soon as possible. Davutoglu said Iran had also confirmed that EU foreign affairs chief Catherine Ashton and Iran’s chief negotiator, Saeed Jalili, could meet in early September, after the Muslim fasting month of Ramadan. NATO-member Turkey has offered to store any swapped uranium and has gone into diplomatic overdrive in an attempt to ease tensions between Western allies and its neighbor. A U.S. official said Iran may be trying to “have their cake and eat it too,” by swapping some low enriched uranium for nuclear fuel while continuing to enrich at some level. “A lot depends on the details,” of what Iran is willing to do, he added, saying the West had responded coolly to Iranian initiatives earlier this year because they seemed designed to stymie U.N. Security Council sanctions that passed in June. “Now that that process is completed, if Iran wants to engage on these subjects we are more than happy to have that conversation,” the official said. Iranian President Mahmoud Ahmadinejad (L) and Iranian Foreign Minister Manouchehr Mottaki attend the United Nations 2010 High-level Review Conference of the Parties to the Treaty on the Non-Proliferation of Nuclear Weapons at U.N. headquarters May 3, 2010 in New York City. (KATAKAMI / DEUTSCHE WELLE) Iran, under pressure from proposed European Union sanctions, agreed Sunday to reopen discussions with Western powers concerning a nuclear swap deal it signed in May. Iranian Foreign Minister Manouchehr Mottaki told reporters that Tehran would on Monday respond to questions raised by the Vienna Group, comprised of France, Russia and the United States. “Tomorrow this…letter will be conveyed to the International Atomic Energy Agency in Vienna, and then we can immediately start negotiations for the details of exchanging fuel,” he said. The EU had intended on Monday to hammer Iran with its toughest-yet sanctions against the country’s oil and gas industry. The proposed measures, which respond to the United Nations Security Council’s fourth set of sanctions passed early last month, were intended by EU top diplomat Catherine Ashton to bring Iran back to the discussion table with the countries of the Security Council – China, France, Russia, the United Kingdom and the US – as well as Germany. The proposed sanctions would cut off the country’s access to so-called “dual-use goods” – materials that could be used to develop weapons. They would include a measure to stop banks with Iranian ties from opening European branches. According to the International Energy Association (IEA) in Paris, the sanctions were “expected to have a material impact on the country’s energy industry.” Though Iran is the world’s fourth largest producer of crude oil, it imports 40 percent of its own fuel needs due to lacking refining capabilities. The last high-level talks between Iran and the six world powers took place in Geneva last October when the two sides approved a nuclear power swap that has since been delayed. In May of this year, Turkey and Brazil persuaded Iran during a meeting in Tehran to store 1,200 kilograms of its low enriched uranium in Turkey until the fuel for Tehran’s research reactor is delivered – an agreement the countries touted as a peaceful resolution to Iran’s nuclear issue but which world powers deemed an insufficient solution. Twelve out of 15 UN Security Council members voted for new sanctions on Iran on Wednesday. TEHRAN (NATIONAL POST) — Hardline Iranian President Mahmoud Ahmadinejad said that the new UN sanctions imposed on Tehran on Wednesday should be “thrown in the dust bin,” the ISNA news agency reported. 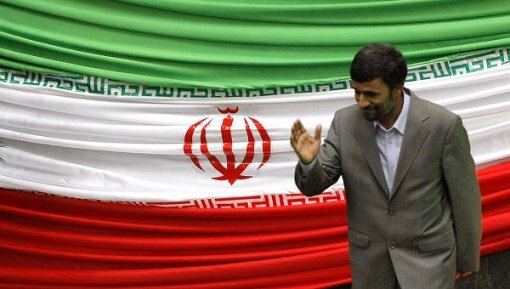 “These resolutions are not worth a dime for the Iranian nation,” Mr. Ahmadinejad told ISNA in Tajikistan. The UN Security Council slapped a fourth set of punitive measures on Iran Wednesday hoping to persuade the Islamic republic to curb its suspect nuclear programme by widening military and financial sanctions. The vote in the 15-member council was 12 in favor of the U.S.-drafted resolution, with Lebanon abstaining and Brazil and Turkey voting against. World powers led by Washington suspect Tehran’s nuclear drive is aimed at weapons. Iran denies the charge, saying it is pursuing nuclear technology purely for the peaceful goal of generating electricity. Iran’s envoy to the UN’s atomic watchdog said the country would not halt its contested uranium enrichment activities in spite of the new UN sanctions. “Nothing will be changed. We’ll continue without any interruption our enrichment activities under the full scope of IAEA safeguards,” Ali Asghar Soltanieh told reporters at the board meeting of the International Atomic Energy Agency here. “Even a second enrichment activity will not be suspended,” Mr. Soltanieh said, referring to the recent move by Iran to enrich uranium to a higher level of purification. Mr. Soltanieh was speaking after the UN Security Council in New York slapped broader military and financial sanctions on Iran over its refusal to suspend uranium enrichment, a process which can be used not only to make fuel for nuclear energy, but also the fissile core of an atomic bomb. Iran has long been enriching uranium to low levels of purification, in defiance of three previous sets of sanctions. But earlier this year, it started enriching to higher levels, ostensibly to make the fuel needed for a research reactor in Tehran which makes radioisotopes for medical use. The West argues that Iran does not have the technology to turn the higher-enriched uranium into the fuel rods for the reactor. The West has long accused the Islamic republic of seeking to develop nuclear weapons under the guise of its civilian nuclear energy programme, charges that Tehran denies. “What happened today in New York was another dark chapter of mistakes and miscalculations” on the past of Western nations, Mr. Soltanieh said. (VOA) The head of the International Atomic Energy Agency says Iran is a “special case” for the agency’s monitoring teams because of suspicions the country is hiding experimental nuclear programs. Speaking at the opening of an agency conference Monday in Vienna, IAEA chief Yukiya Amano said Iranian officials have not provided the necessary cooperation for the IAEA to confirm that all nuclear material in Iran is for peaceful activities. Delegates at the week-long IAEA conference are expected to discuss Iran and Syria’s nuclear programs. Arab countries have also succeeded in putting Israel on the group’s agenda for the first time since 1991. Israel is widely believed to have nuclear weapons, but maintains a policy of refusing to acknowledge its nuclear arsenal. The IAEA conference comes as the U.N. Security Council prepares to vote on a fourth round of sanctions against Iran for its nuclear activities. On Sunday, U.S. Secretary of State Hillary Clinton said she expects Iran to “pull some sort of stunt” in the next day or two to divert attention from the pending U.N. vote. Clinton said Iran has done everything possible to avoid international responsibilities involving its nuclear program. The U.N. Security Council has passed three sets of sanctions against Iran for its refusal to stop enriching uranium, a process that can be used to produce atomic weapons. The United States and its Western allies accuse Iran of trying to make a nuclear weapon. Iran says its atomic program is for peaceful purposes. JERUSALEM (CHANNEL NEWS ASIA) Israeli Prime Minister Benjamin Netanyahu welcomed new sanctions imposed by the UN Security Council against the Jewish state’s arch-foe Iran in a statement released by his office on Thursday. “The resolution passed today (Wednesday) in the Security Council through (US) President (Barack) Obama’s determined efforts is a positive step,” Netanyahu said. “The resolution makes clear to Iran that the leading powers of the world are opposed to its nuclear weapons programme,” he added. 12 nations on the Security Council voted Wednesday in favour of a fourth set of sanctions on Iran, with Lebanon abstaining, and Brazil and Turkey voting against, after Tehran defied earlier UN demands to suspend uranium enrichment. “These resolutions are not worth a dime for the Iranian nation,” hardline President Mahmoud Ahmadinejad told Iran’s ISNA news agency in Tajikistan, where he is on a two-day visit. Israel, which has the Middle East’s sole if undeclared nuclear arsenal, regards Iran as its principal threat after repeated predictions by Ahmadinejad of the Jewish state’s demise. 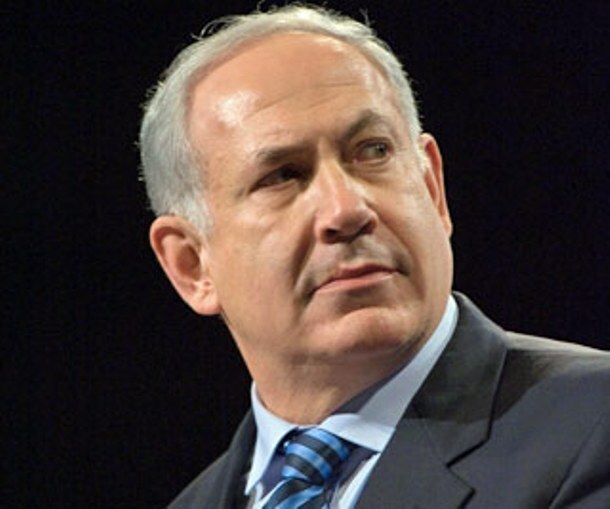 Israeli leaders have refused to rule out a resort to military action to prevent Iran developing a nuclear weapons capability. Iran insists that its nuclear programme is aimed solely at power generation and medical research and says that the international community should focus its attention on Israel, which, unlike Iran, is not a signatory to the nuclear Non-Proliferation Treaty. 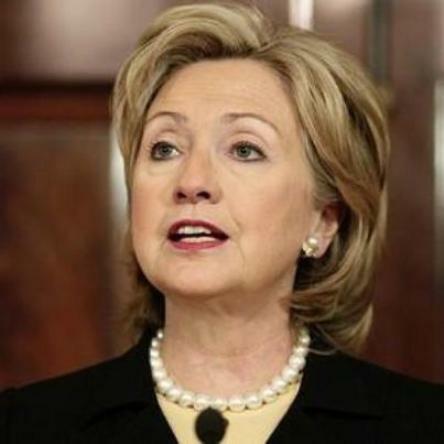 (KATAKAMI / VOA) U.S. Secretary of State Hillary Clinton says the United States is focusing sanctions on Iran’s Revolutionary Guard Corps, asserting that the elite unit has become too involved in security, political and economic decisions. Clinton told VOA Tuesday that Iran is becoming a more belligerent and repressive nation as the Revolutionary Guard increases its influence. Clinton suggested the power shift from clerical and political leaders to the Revolutionary Guard may stem from Iran’s inner turmoil that resulted from President Mahmoud Ahmadinejad’s disputed re-election in June. Iranian Foreign Minister Manouchehr Mottaki criticized Clinton for saying Monday that Iran has become a “military dictatorship.” He accused the U.S. of being like a military dictatorship through its actions in Iraq and Afghanistan. Clinton also warned that Iran may trigger a nuclear arms race in the Middle East if it obtains an atomic weapon. In a speech Tuesday at a women’s college in Jeddah, Saudi Arabia, Clinton said evidence does not support Iran’s claim that its nuclear program is being developed for peaceful purposes only. 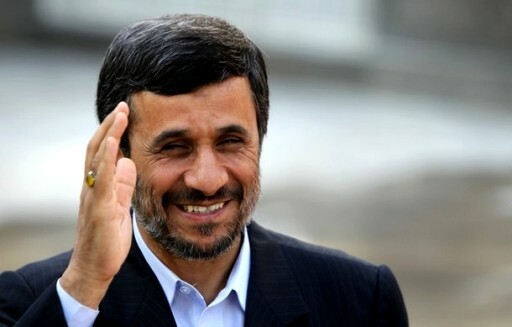 President Ahmadinejad responded by saying he does not take Clinton’s comments seriously. On the Middle East peace process, Clinton said it is imperative to remain optimistic about resolving the Israeli-Palestinian conflict. She said both sides have so much at stake and will eventually realize it is in their best interest to return to the negotiating table. Clinton spoke at the end of a tour of Persian Gulf states, where she sought to gain support from U.S. allies for tougher sanctions on Iran. (KATAKAMI / TELEGRAPH.CO.UK) The US Secretary of State is visiting Qatar and Saudi Arabia to see a series of high-level diplomatic and military contacts. She told the US-Islamic World forum the West was “encouraging Iran to reconsider its dangerous policy decisions” on its nuclear programme. “Iran leaves the international community little choice but to impose greater costs for its provocative steps,” she said. Her comments came as retired Gen James Jones, President Barack Obama’s national security adviser, warned Iran that additional sanctions could destabilise the country. “We know that internally there is a very serious problem. We’re about to add to that regime’s difficulties by engineering, participating in very tough sanctions, which we support,” he told Fox News. Mrs Clinton is due to hold a one-on-one meeting with Tayyip Erdogan, the Turkish prime minister, at the US-Islamic World Forum. Turkey, the only Nato member that has a border with Iran, insists the dispute should be resolved through dialogue, arguing that economic sanctions or military action against would destabilise the Middle East. In Riyadh, Mrs Clinton is planning to meet King Abdullah bin Abdul Aziz Al-Saud of Saudi Arabia’s and Prince Saud Al-Faisal, the Saudi foreign minister. She will also meet other Saudi officials in the Red Sea port of Jeddah. The Obama administration is pushing for Iran to agree to a proposal to ship its low-enriched uranium abroad in return for nuclear fuel being provided for a Tehran medical research reactor. Last week, Tehran announced it would be enriching uranium to higher levels for medical purposes. Benjamin Netanyahu, the Israeli prime minister, flew out to Moscow on Sunday where he said he would press for support for “crippling sanctions” against Iran. However US Vice President Joe Biden expressed confidence yesterday that the Chinese would ultimately join the other nations in backing measures to punish Iran. “I believe we’ll get the support of China to continue to impose sanctions on Iran to isolate them, to make it clear that in fact they cannot move forward,” he said. Britain and France – the remaining veto-wielding members – are backing more sanctions as well as from Germany, which has also been involved in months of negotiations to try and get Iran to change tack. Iran is also under pressure for its brutal crackdown on domestic dissenters. On Monday, the United Nations human rights council is due to debate Tehran’s human rights record. Mrs Clinton was also due to deliver a softer message to the Middle East on Saunday night in a speech in Doha, expanding on President Barack Obama’s call in Cairo last June for deeper engagement between the US with the Muslim world.